Tolkien’s fantastical cities and landscapes have always fascinated me, perhaps none more so than Hobbiton. I’ve seen several LEGO versions of Bag End over the years, but Wookieeawarrior‘s most recent build, refreshingly, isn’t the iconic home of Bilbo Baggins. 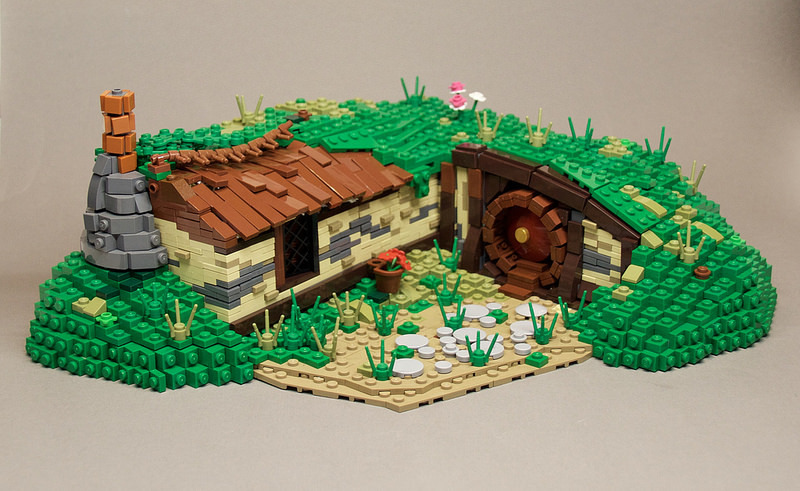 Instead, this cozy Hobbit hole belongs to one of his lucky neighbors. The overall shaping of the hill and exposed brick walls make for a very lovely composition. I particularly like the small, dark tan bricks that stick out just a bit more than the rest of the bricks, the cobbled-looking chimney, and the beautiful, round front door.